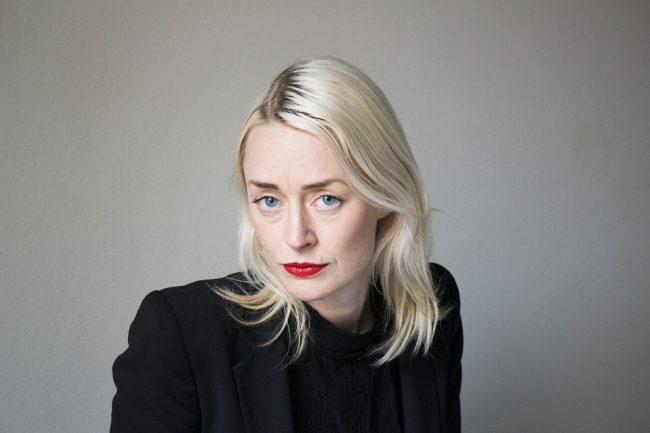 Saga Gärde (*1979) is a director and works with performing arts and film through documentary processes and composition as a method. In collaboration with the sound designer David Gülich, she has made Athena Farrokhzad’s debut Vitsvit and the monologue Brev til en krigerska, 2016 as radio drama for Sveriges Radio. She weaves together documentary material, sound and music with newly written texts and creates performances with principles derived from musical composition. During the autumn she directed Labyrinth at Malmö City Theater, a performance from five years on death and how a family’s migration history conditions the last parting. During her residency at IAC she´s developing Amfi, a project that aims to investigate the staged reading as a theatric form in order to create a new scene for contemporary drama. The intention is to draw attention to and emphasize the dramatic potential of new texts. The project will present six newly written texts by Athena Farrokhzad, Dimen Abdulla, Christina Ouzounidis, Felicia Mulinari, Lone Aburas and Balsam Karam performed by one actor in collaboration with a sound designer and a video artist. Saga and her artistic team look at new dramaturgies, moving towards concepts such as post-drama and composed theater and texts that in style and in its way, it addresses the reader, are found in the tension field between poetry and theater. At the same time, examining what can be handed over to the staging and reception of the audience.